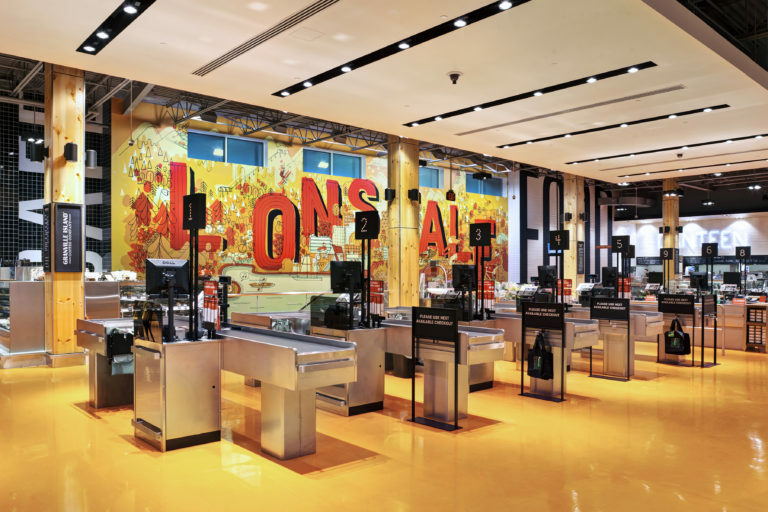 Combining the needs of urban customers, and providing the client with architectural design and roll-out strategies for a new concept of store, Loblaws City Market is appearing in city-centres across Canada. 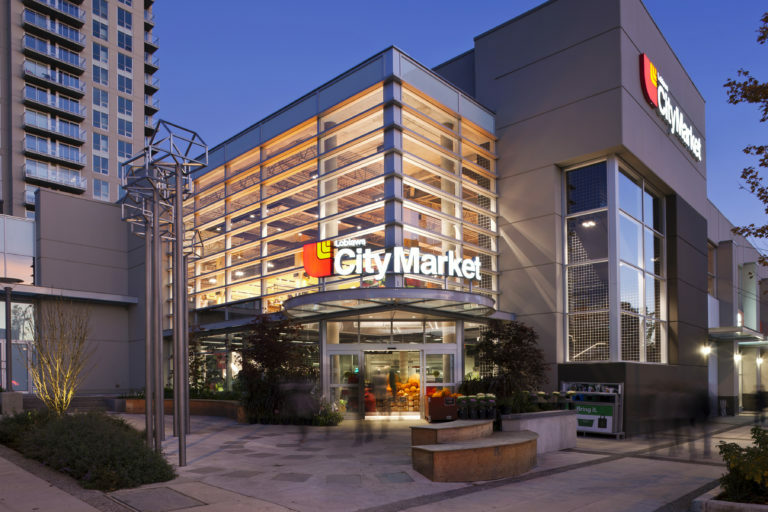 City Market was initiated as a request from Loblaws Companies Limited to maximize the use of their land acquisitions in urban districts. The “ask” was clear-cut, yet the solution was complex. It required redeveloping urban sites to accommodate new food stores while allowing for the complex, site specific considerations. 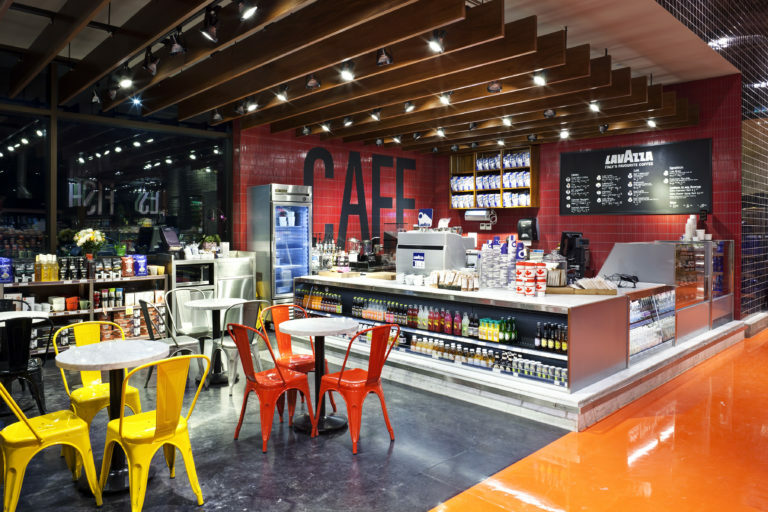 For certain locations the process began with the store’s branding undergoing a metamorphosis: hard discount stores transformed into a market store, and then finally into the new “Inspire” flagship, featuring clean lines and bold super-graphics. As a new initiative, the requirements and goals expanded as the concept was realized. In the Lonsdale (North Vancouver) location, for example, the roof was required to be converted and vegetated green as per the approval obligations. Well into the process, the client requested that a Joe Fresh clothing outlet and medical offices be incorporated into the development and completed by the scheduled opening. By working closely with the entire development team, Turner Fleischer was able to coordinate and integrate these requests into the final design, including the street-level retail space added to conceal the parking garage. 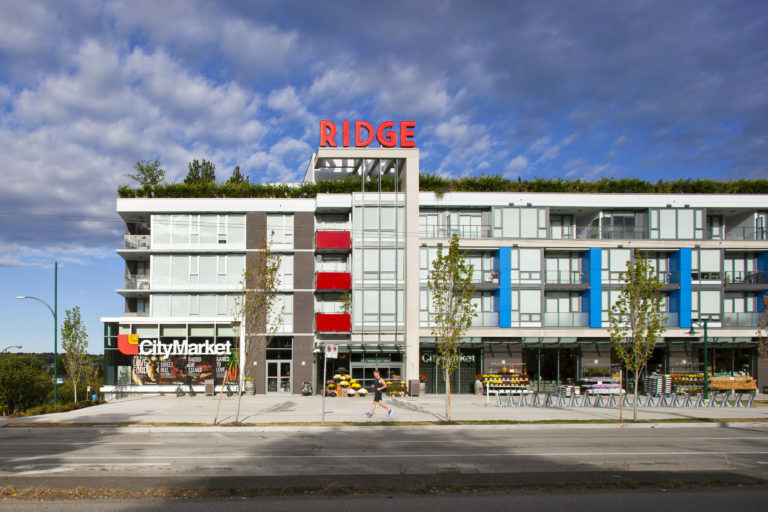 The completed store has enhanced the fabric of the existing neighbourhood while providing a fresh and inviting urban market shopping experience for local residents. 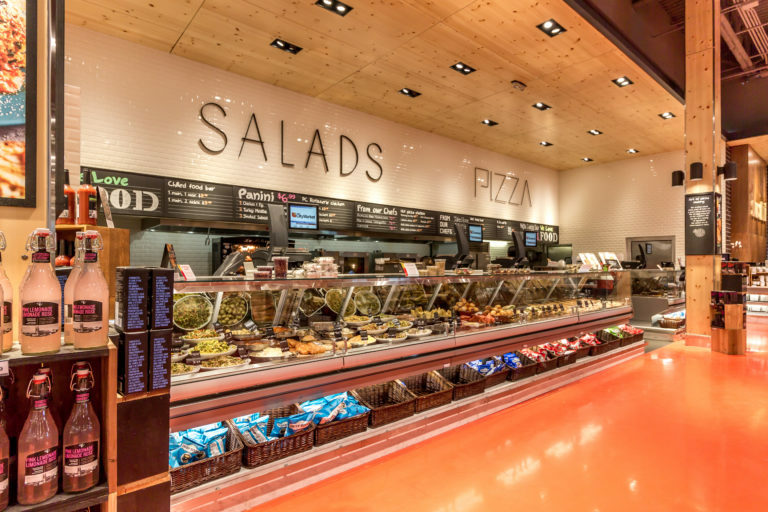 Other locations introduced new challenges, such as designing a new grocery store in an existing space that was not purpose built. Such was the case for Turner Fleischer in planning the Independent City Market in Toronto’s trendy, high-density and underserved Liberty Village. Performing detailed laser scans to create a 3D Revit model of the existing space helped identify the building’s unique geometry. These findings led to the parking ramp being used to locate the HVAC and refrigeration equipment. By coordinating with the tenant’s engineer, the least invasive way to route the mechanical ducts was thoroughly mapped out. Turner Fleischer’s frequent on-site presence and communication with the contractor ensured that the work was completed on time. The national roll-out now well underway incorporates the new “Inspire” look and feel, creating an in-store atmosphere that is both bold and contemporary. 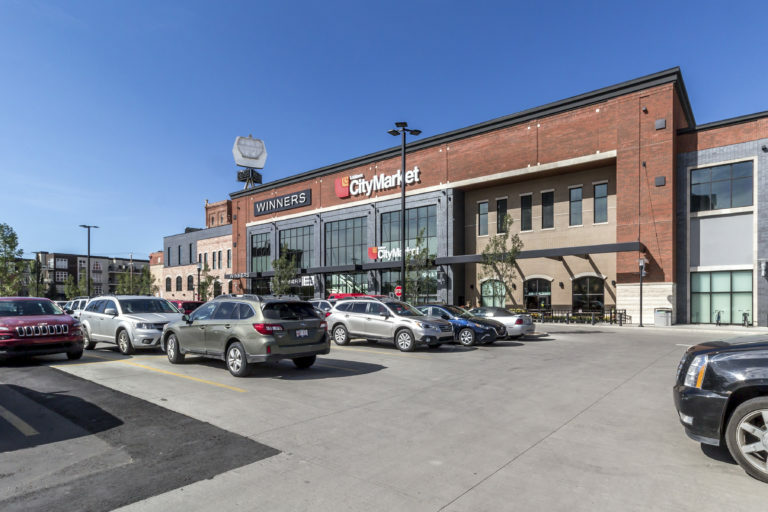 Neighbourhood residents across Canadian urban centers are now able to enjoy the amenities of a grocery store along with a shopping experience that’s in keeping with their vibrant setting.